Nigerian singers, Falz and 9ice, have come out to debunk any media reports that they are in a fight, following the controversies between them. Recall, the Nigerian rapper had called out some musicians who were using their songs to promote internet fraudsters popularly known as ‘Yahoo boys’, while stating a line in 9ice’s song. The statement prompted the ‘gongo aso’ singer to say in another interview, that those he praised in his song were merely “socialites” and hardworking men. The attack and counter attack made fans believe that a rift had started between the two. 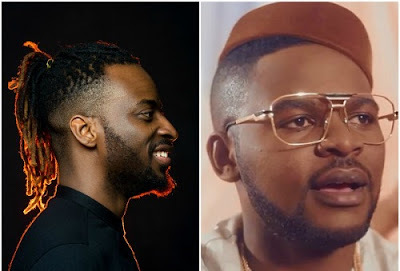 But, in a recent video on Instagram, the duo said there was no fight, with Falz saying 9ice is his uncle.